'Tis the season for holiday game events, and EA wasn't about to leave one of their biggest titles out of the festivities. 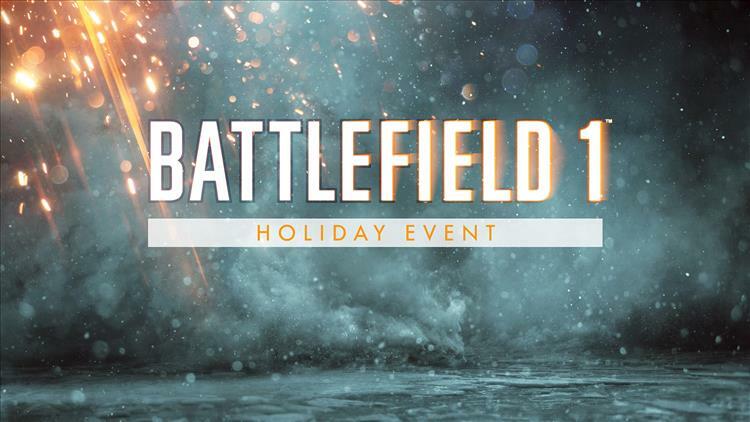 Starting today and going until December 29, Battlefield 1 is running a holiday event that opens the door for players to grab battlepacks, vehicle skins, and even a new Custom Game. December 21: The new Custom Game "Blind Delivery" goes live. Only explosives and handguns are allowed in this variant of the War Pigeons mode - and of course, there's no minimap. December 22: From this date on, all players who login to Battlefield one will receive the "Holiday Truce" Dog Tag (one per account). December 22: Battlefield 1 gets Vehicle Skins. In the Battlepacks revision you can get two Heavy Tank skins: the Distinguished "SchnucK" or the Legendary "Desert Gold." December 23 – 29: All players who login to Battlefield 1 during this period will receive a free Battlepack (one per account). December 23 – 29: All Battlefield 1 Premium Pass owners who login between December 23 and December 29 will receive two Superior Battlepacks. If that's not enough to get you back in the game (though to be honest, did you stop playing?) then I don't know what is. Happy holidays!